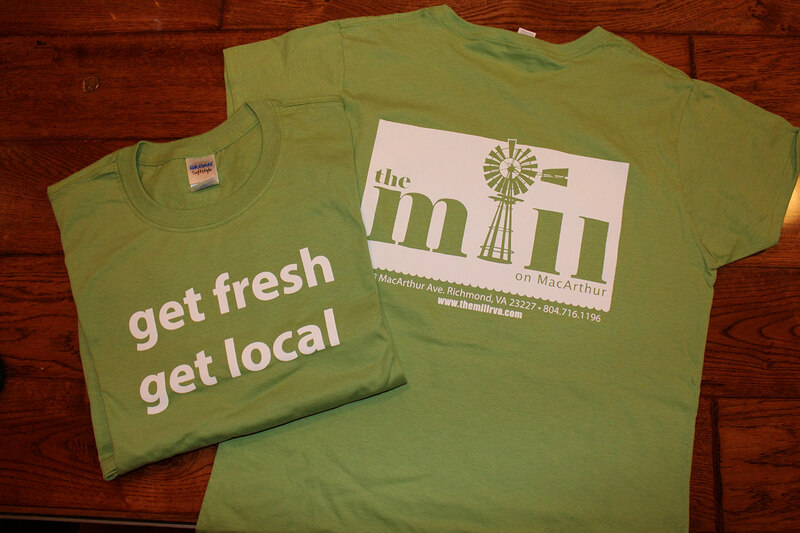 Printed locally, our shirts are two sided including our logo on the back and “Get Fresh, Get Local” big and bold on the front. Shirts come in adult men & women’s and children sizes. Sizes and colors vary and are available while quantities last. 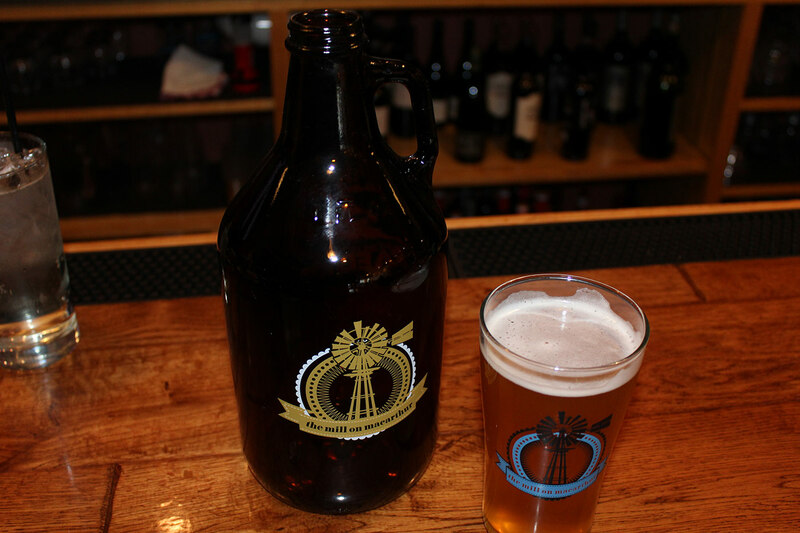 Purchase one of our Mill on MacArthur growlers, fill it up with any beer that we have on tap, and take it home with you. Bring it back for discounted refills. 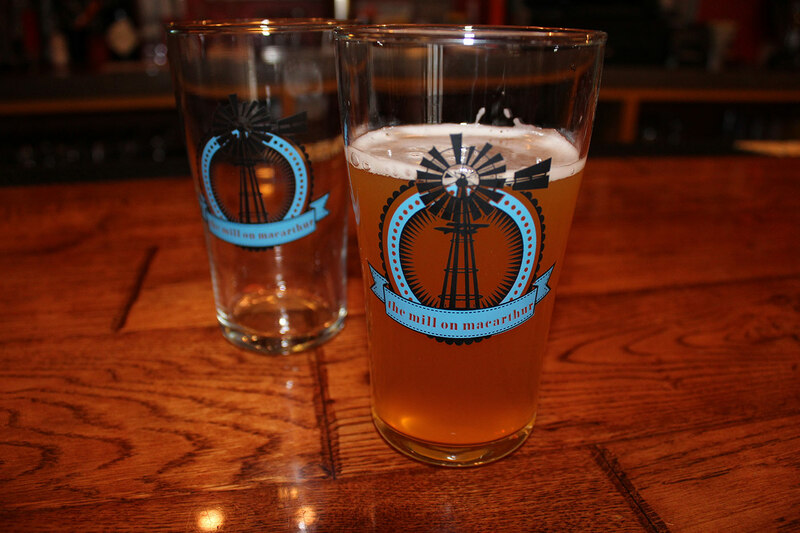 The perfect reusable gift for any beer connoisseur. 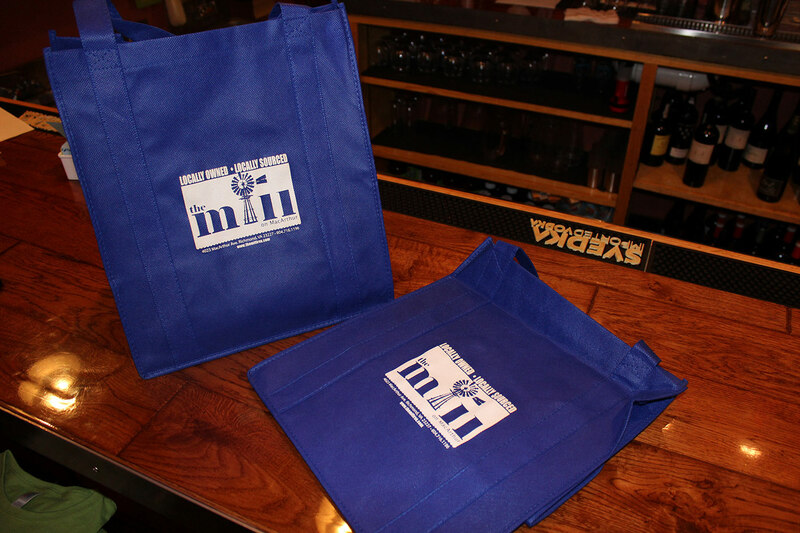 Reusable shopping bags for your takeout order and grocery shopping. Printed locally, our shopping bags are made of high quality, eco-friendly, woven material.